Only 15-20 percent of dealers will be authorized to sell the new SRT Viper. Want to get your hands on the new 2013 SRT Viper? It won&apos;t be as simple as going down to your local Chrysler Group dealership and putting down a deposit. Of course as with any exciting new supercar, examples will be in short supply, with waiting lists bound to stretch out the door. But even if there isn&apos;t a waiting list, your local dealer may not be able to order you one. That&apos;s because, according to the latest reports, only certain dealerships will be authorized to sell the new Viper. In order to qualify, dealers will need to train their staff specifically and upgrade their facilities. As a result, SRT chief Ralph Gilles anticipates only 15-20% of dealers will be able to offer the new Viper. Chrysler has yet to announce pricing and availability for the 640-horsepower supercar, but the last model (discontinued in 2010) was priced at a hair under $100,000 and, at its peak, sold 2,103 units in the United States. 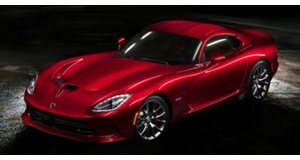 Considering that Chrysler has 2,400 dealers across the country, and assuming production remains around that level, not every showroom could have a new Viper to sell, particularly when a handful of locations are likely to sell more than others.